The unDX4I Dante™ Audio Interface is a cost effective multi-IO wall box. The unDX4I features four balanced mic/line XLR inputs and outputs can be used simultaneously and all audio channels are available separately. 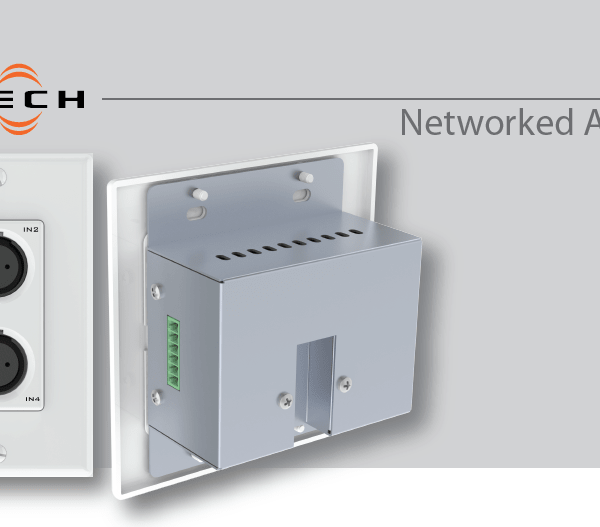 The unDX4I is designed to fit into most dual gang US junction boxes and is PoE enabled, so all connectivity (power and data) is provided by a single CAT-5 cable. The unDX4I’s size and I/O density make it easy to put Dante™ connectivity wherever it’s needed – near the audio source or sink – thereby eliminating costly and interference prone analog wiring.